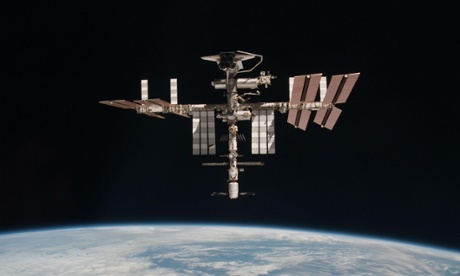 Malware made its way aboard the International Space Station (ISS) causing "virus epidemics" in space, according to security expert Eugene Kaspersky. Kaspersky, head of security firm Kaspersky labs, revealed at the Canberra Press Club 2013 in Australia that before the ISS switched from Windows XP to Linux computers, Russian cosmonauts managed to carry infected USB storage devices aboard the station spreading computer viruses to the connected computers. The damage done by the malware to the computer systems of the ISS is unknown. However, Kaspersky said virus epidemics took hold of the space-based computers, including dozens of laptops. The Windows XP-based laptops on the ISS were infected with a virus called W32.Gammima.AG in 2008, after a cosmonaut brought a compromised laptop aboard which spread the malware to the networked computers. "It's not a frequent occurrence, but this isn't the first time," a Nasa spokesperson said at the time. In May, the United Space Alliance, which oversees the running of if the ISS in orbit, migrated all the computer systems related to the ISS over to Linux for security, stability and reliability reasons.